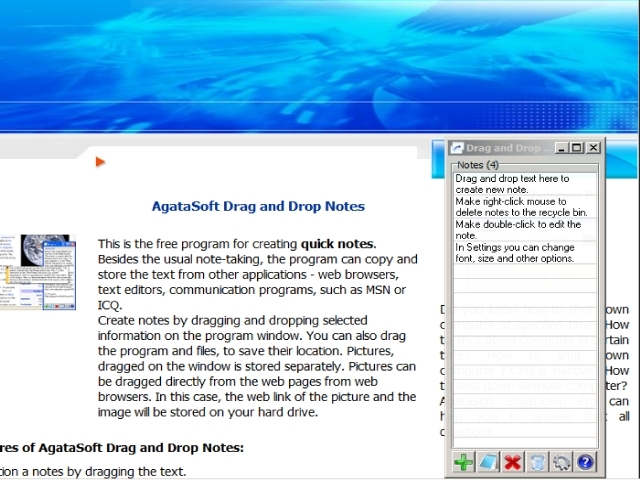 Create notes by dragging and dropping selected information onto the program window. You can also drag the program and files to save their location. Pictures dragged onto the window are stored separately. Pictures can be dragged directly from web pages via web browsers. In this case, the web link of the picture and the image will be stored on your hard drive.